So what happens once you decide to go online with your business? You expect the usual con-calls and confusing conversations between you and the designers, the marketing department throwing new stats at you every day, the website manager trying to install new tools and the server going down once in a while to complete the hiatus. That’d surely be the case if you didn’t have a reliable and time tested website builder like Jimdo. Jimdo started out as a popular ecommerce platform in 2010. Already 200,000+ shops are running on Jimdo since its launch in 2010. And it has been used to create 15 million websites (till the end of 2015). The early birds who started using Jimdo in 2010 found several glitches. This had recently caused the platform to undergo a complete overhaul. 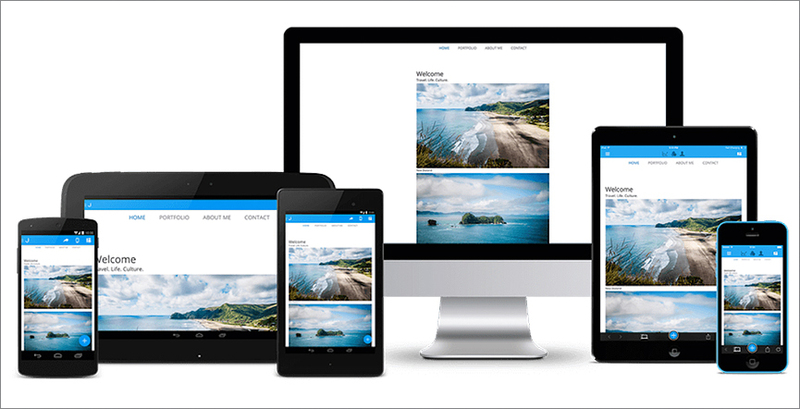 The new features include mobile ready templates, free hosting services, upgraded domain services and some of the easiest visual editing option ever available to website designers. Almost all the editing options are guided with on-screen buttons, which makes the learning process simple and fast for beginners. Jimdo makes sure that every step is simple and guided. 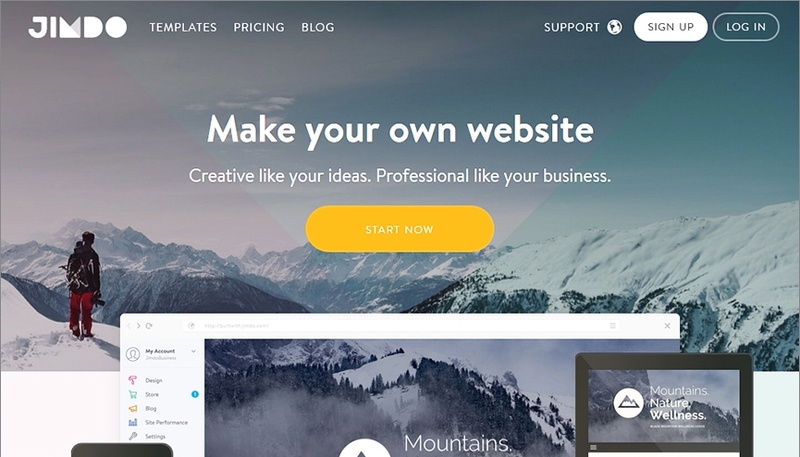 This website builder does not accumulate complexity every time you add a new feature or a tool to your web-template. All the features are created and tested by experts to avoid all sorts of integration issues that are otherwise common with contemporary website builders. However, as easy and convenient it is, we simply cannot ignore the other side of the coin. The online store that Jimdo offers could be a lot better. It has the right infrastructure and the basic components; it just isn’t as suitable for US based sellers. The biggest con of this online store is the lack of a credit card gateway. You can only pay through PayPal or manually, which can be both tedious and time-consuming for entrepreneurs. After Jimdo switched up its template game to make 100% of their template collection responsive, complaints about their template flexibility has gone down remarkably. However we do get to hear the occasional website designer grumble about the lack of flexibility and premium customization options. This is especially common is you are stuck with the free version of the builder. 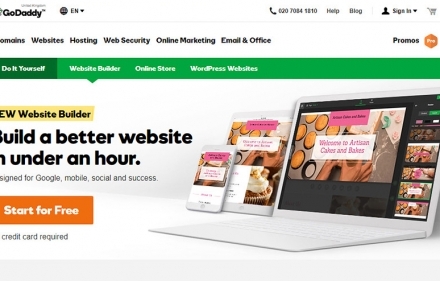 Everything counted for; Jimdo is still one of the best website builders available for entrepreneurs who want to save money and time while building a professional business website. Here we will try to focus on the salient features offered by Jimdo for its first-time users and beginners that make the learning curve a lot smoother and rewarding. This editor is well-suited for both beginners and experts. Once you have worked with Jimdo you will definitely know how simplicity can elicit both beauty and functionality of a website. 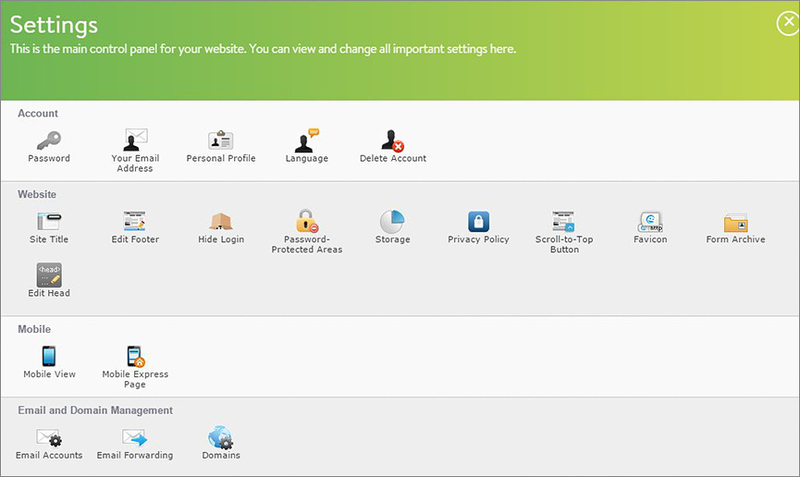 It is more of a visual tool that comes with style menu options for implementing site-wide changes in background images, colors and font options. It saves time and it a wonderful tool to make website editing a pleasant experience. The designing and editing components are mostly on-screen. This allows the user to make instant, visible changes to their website. The options also come with “help” text that allows you to check the function of each button before you hit them. The templates come with demo content that can be easily replaced using the on-screen cues. You can replace text, image, resize and redesign the whole content as per your requirement. Each template is build of element blocks that can be moved around, edited or deleted. The drag-and-drop mechanism of the builder makes the building process easy and effective. The best part is the customization option that allows you to add videos and slideshows as your website backgrounds. The element blocks also allow you to add HTML snippets using the visual editor itself. If you know a little bit about coding, you will have a field day with these templates. You can add, remove and modify the HTML-CSS codes using their customer HTML CSS editor and file manager interface. Jimdo offers numerous professionally designed, responsive templates, spread across business, store, personal, and portfolio categories, that can serve everyone looking to take their business online. From a restaurant owner to a hairstylist, anyone can now create their online business profile using Jimdo. Did you know that Jimdo featured 16 pre-designed templates that are completely customizable? This is inherent of the new editor version that makes sure that each template has several editor versions. The templates come with a toggle editor option that enables you to customize your website one element at a time or apply your preferred changes site-wide with just one click of a button! 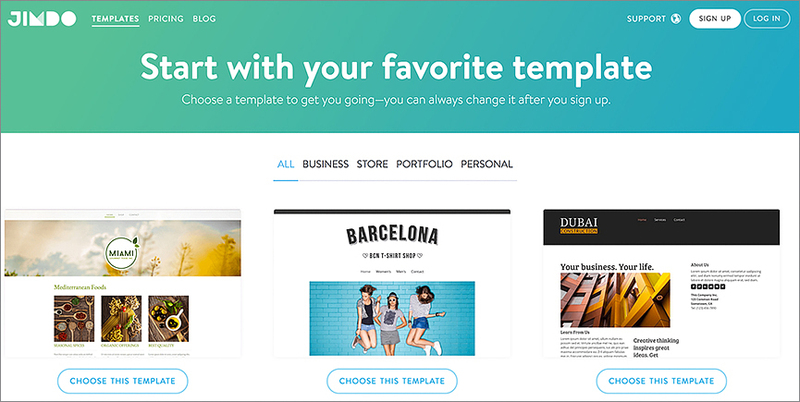 To be noted: The newest feature included by Jimdo has made sure that you can edit your template, publish your site with your preferences and then change the template altogether without losing any of the changed/modified data. Your Jimdo website will automatically be on the good-side of popular search engines including Google. Jimdo has basic SEO features that will let your website climb the SRL ladder quite steadily and visibly. SEO is one of Jimdo’s inherent USPs. The backend website editor is powerful and gives you complete access to the title, headers, meta tags and URL of your web pages. In accordance with Google’s most recent needs Jimdo has assigned SSL encryption in addition to including the paid Ranking Coach tool to their repository. 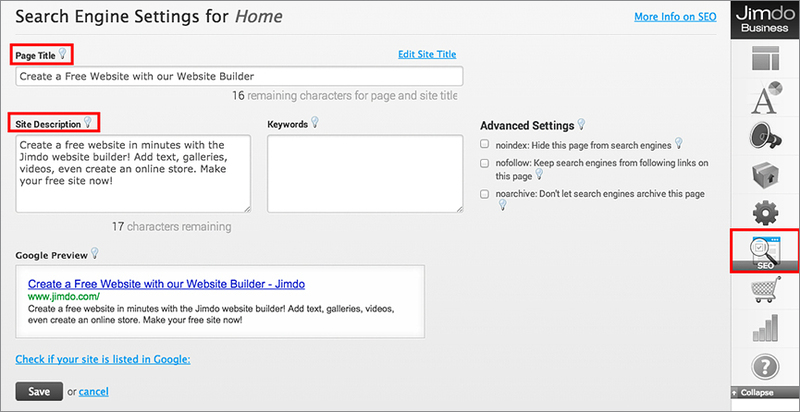 The builder can automatically generate multiple page names, URLs and specify the meta tags on the pages. You can experience URL redirects and RankingCoach tool that will help you with instant SEO fixes. The codes used by Jimdo are clean and can be easily crawled by Google search engine spiders. This means, you can go ahead and add your own HTML codes and Ajax codes besides the usual JS, and your website will still be successfully crawled by the search engine spiders. As a matter of fact, Jimdo has made staying SEO friendly really easy for first-time users. All you need to do is implement all necessary changes to your website and let Jimdo generate an updated XML file for all the pages (including the hidden ones your customers cannot see and access). This XML file is auto-sent to Google and your website elements are indexed. This increases the visibility of your website on the Google SERPs. Jimdo has recently mobile-optimized all its templates. Add that to an XML map generating option that this website builder offers and you automatically have a winner. Your website is bound to perform better as compared to other, similar websites built on other platforms that do not offer such easy search engine optimization features. And if you are confused, you can check out Jimdo’s hundreds of SEO tutorials that can guide you through the process. 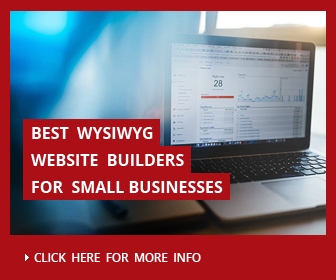 In case of most website builders, domain and hosting are pressing issues since builders are usually given the daunting task of constructing a website from scratch as well as finding a reliable host with possibly no down-time. In reality, a good website builder may not always have the best hosting options. But that’s not the case with Jimdo. 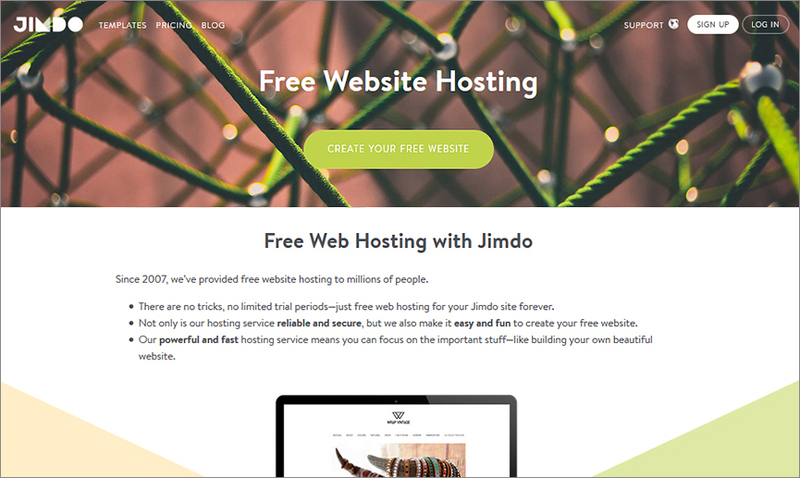 You do not have to pay a penny for hosting services, Jimdo hosts all its websites and this is true even for the free users. The biggest advantage of this process is – they manage the hosting part of the website so you can concentrate completely on the building and optimization process. Jimdo will actually take care of all the backups, security upgrades and coding part of the thing. And did we mention? Jimdo’s security is so well managed that it almost never gets hacked. This one makes sure that you get an email hosting and domain name in its Business and Pro packages. In most contemporary builders, you need to pay for these features separately. This is a main advantage of using the paid versions of Jimdo. All these features are included in the paid packages making the pricing very reasonable and competitive. While these are both paid packages, the costs are lesser than that of the Classic Pizzas from Pizza Hut in London or NY! The only con is the lack of export options. Not only Jimdo, most of its competitors are also guilty of this fault. And just to be honest, this is because; most website builders are not cross-compatible across different website platforms. So, the day you decide to leave Jimdo, you have to leave all your work and details behind. You cannot export your website to another platform. This accomplishment by Jimdo deserves a special mention here. Jimdo app is available ony iOS and Android making it a smart option for all mobile users who want to monitor their website 24×7. This app is completely updated and well suited for editing your website on the go. As a matter of fact, it can directly import your analytics reports from your website analytics tools so you can stay on top of your game throughout the day, even when you are away from your computer. Jimdo has a well-updated and resourceful support center that is available to the free users as well. Their response rates are fair. You can usually expect a response from their customer servicing team within 1 to 2 business days. You can get direct solutions to your problem or you can be directed to the right resources/video tutorials that might have the solution to your problem. 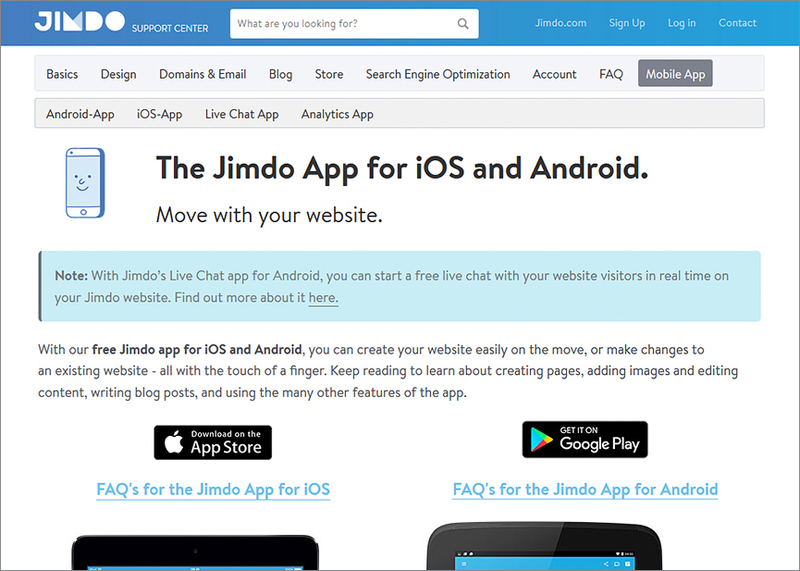 For those who are in dire need of help, there’s Jimdo’s live chat function. You can reach out to their team between 9 am and 5 pm PST. You can leave a mail or pre-schedule a call if that seems more convenient, in case you are outside the time zone. Jimdo has a pretty smart and pocket-friendly pricing policy. With the Pro package you can get 5 GB worth storage and your own domain. Whereas the Business package brings you unlimited storage space for your website in combination with unlimited bandwidth and URL redirects. Both the plans are pretty reasonably priced, although the users are charged annually or every 24 months rather than monthly. Before you evaluate the Pro and Business packages, note that, even with the free options, Jimdo allows integration of Google Maps, editing of website codes and addition of contact forms to your main website. As a matter of fact, when working with JimdoPro and JimdoBusiness packages you can choose to turn on the Mobile Page Express version that gives your website a fresh, professional landing page. If you currently using a free plan you can upgrade by clicking on the “Upgrade” option in the Site Admin section. Anyone who’s currently using a Pro version of the website can upgrade to the Business version for premium features by simply letting the customer service know their plans 4 weeks before the renewal of their package. Jimdo makes blogging easier and fun. The blog is quite advanced compared to other ecommerce site templates. 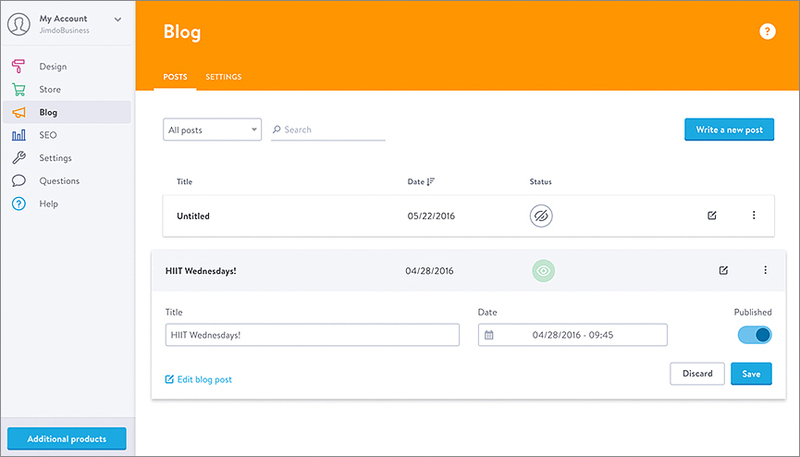 Jimdo allows both users and their customers to connect through blogging and threaded comments. You can “compose” new posts by adding texts, images, videos and other multimedia features. 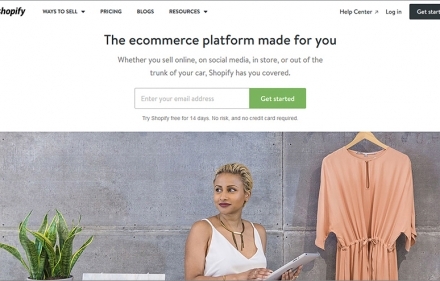 The most interesting bit about Jimdo’s blog is the teaser snippet that you can use to showcase your new blog posts on your ecommerce site. The only shortcoming till now is the lack of integration of comments with popular comment systems like Facebook or Disqus. Jimdo’s social media integration features are potent to give your website the push it needs. With Jimdo you can now directly publish your content, updates and special features on popular social networking sites like Facebook, Google+, Pinterest and Twitter. If you want, you can create forums for your customers where they can discuss their opinions exclusive to your website. All of this can be moderated by the website admin, so that real-time information can be filtered and shared on social media. 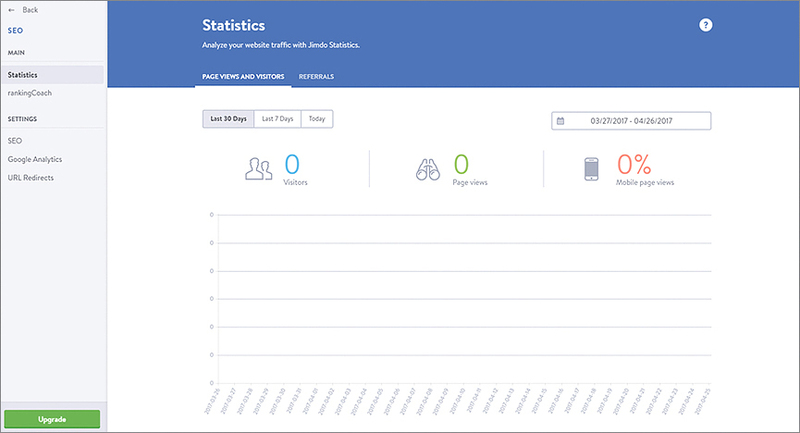 Jimdo has its own statistics monitoring option that you can activate from the Site Performance section. If you want, you can also readily integrate your Google Analytics account for a real-time analysis of your website traffic. Now get ready for a real-time dose of bounce rate, CTR and dwell time of your potential customers with Jimdo based websites. This feature will also help you analyze your audience’s website experience and interaction. All ecommerce websites that use Jimdo are given a direct summary of their Page Views and Visitors for the last 30 days, 7 days or 24 hours. The default statistics option gives a separate Mobile Phone views option that gives you an idea of the incoming time of flux of mobile users who use your website. The factors and features that do make Jimdo a favorite of all website builders include its responsive template collection. The pre-loaded images and demo content is another convenience aspect that is most appreciated by website builders. Adding pages, adding blocks of content and publishing a website can take less than an hour with Jimdo by your side. You can even tweak with the basic codes of your website to add extra elements or modify the templates according to your need. Jimdo is our recommendation for all first timers due its simplicity. 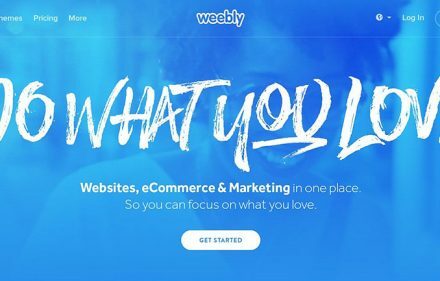 It is a visual tool that is loaded with potential for creation without the added intricacy usually associated with professional website builders. Jimdo takes into account your needs and resources, and offers you free templates, free widgets, stellar customer care service and superb security in return. There are no other website builders that make this level of professional website development possible for such little investment of time, energy and money. Jimdo is a favorite of most entrepreneurs because irrespective of the package you choose, you get friendly, fast and personal customer support any time of the day. It has gradually developed its features and functionalities of the development of competitive and fully functioning websites that can make a mark in the competitive digital marketing world. Although the free users can avail it, Pro and Business users can add multiple payment gateways and shipment option modifications to their websites. Jimdo is pocket friendly, user friendly and your customers are simply going to love it. Wide payment options including PayPal, Credit Card, Check etc. Yes. Since Jimdo is a simple, convenient and at the same time not expensive website builder with wide opportunities for creating online store. Jimdo - is very weak as a free web platform but it is highly recommended as good ecommerce website builder. 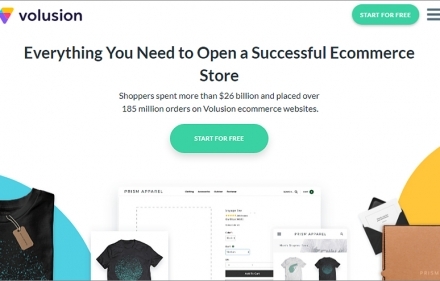 This is a great solution for those users who need online store without additional complicated options and at the same time by affordable rate.